Ever think about taking a year out? Ever think about making yourself really, really useful? Mariko Christine, a friend of a friend, is setting up the first Human-Centered Design Innovation Lab in Cambodia. The Lab exists to develop products/technologies/solutions for the BoP (base of the pyramid / rural poor). Mariko works for IDE, an international NGO. The Lab has support from the Stanford DSchool, MIT DLab, IDEO, among many other leading organizations and funders. Mariko is looking for a Fellow to help launch the lab. It’s a one-year appointment. The Fellow will lead the design of and guide the research process for innovation projects. The Fellow will need practical social science and research expertise, and the ability to use design thinking to create tangible solutions to real-world problems. Interested in leading ground-breaking research in the developing world? Passionate about designing extremely affordable innovations to tackle problems that are of life-and-death importance? We are building the first Human-Centered Design Innovation Lab in Cambodia. And we need you to help us launch it. IDE is looking for a social science expert (anthropology, sociology, psychology, etc). We seek a design-thinker, with 2-5 years practical experience in design research methods including research planning, field work/interviews/observations, and synthesis into design opportunities. 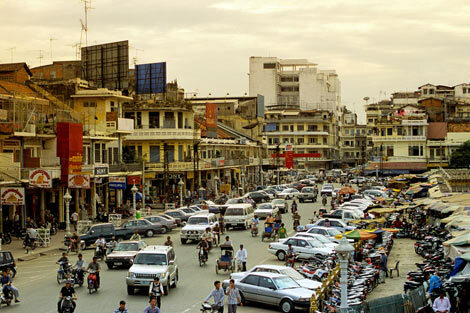 You will be the lead social science and research expert on a multi-disciplinary team, based in Phnom Penh for a 1-year Fellowship. This is an opportunity to work on real-world problems alongside a close-knit, diverse, and top-calibre team. You’ll wear many hats, including that of a coach, to grow HCD in Cambodia. You’ll conduct ground-breaking research within the Cambodian culture in order to turn the findings into tangible interventions that improve the lives of those who need it most. This entry was posted in Uncategorized and tagged design, ethnography, human-centered design, IDE, innovation, labs, Mariko Christine, NGOs, planners, planning, research on August 16, 2011 by Grant.